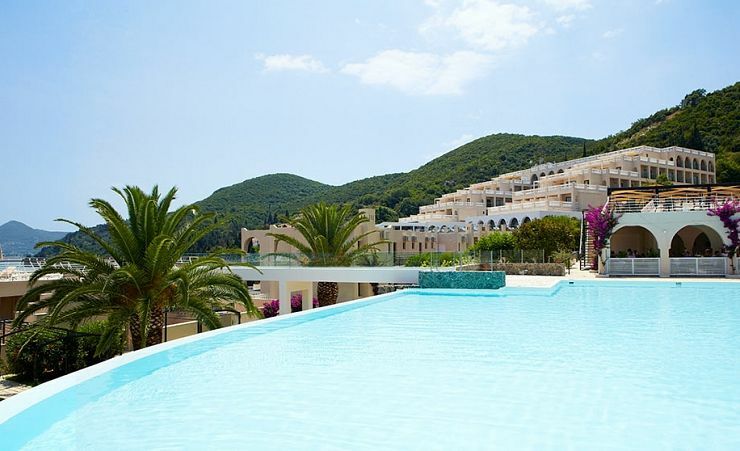 Beautifully situated atop a green hillock, gently rolling down into the Ionian Sea, this luxury hotel offers a great range of high-end facilities and grand views from its lush, landscaped gardens. 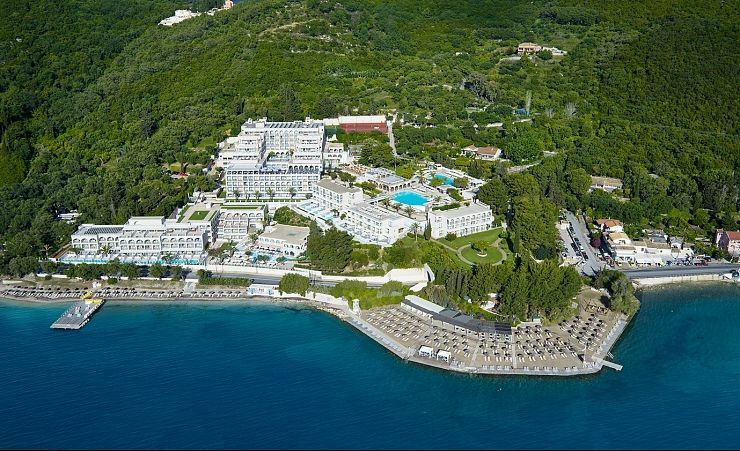 Benefiting from direct access to a private beach, you can enjoy the calm waters of this sheltered bay as well as comfortable sunbeds with a stunning panorama across to the Greek mainland. Elegant and comfortable, each guestroom within this 5-star resort is decorated in a sleek and stylish fashion, striking a balance between minimalism and modern amenities. Spacious, air-conditioned rooms feature plush double or twin beds, a modern bathroom with a bathtub and/or shower, flat screen TV, telephone, fridge, safe, tea and coffee making facilities and a cosy balcony or terrace, complete with a table and chairs for true moments of relaxation in view of the lush gardens or mountain. 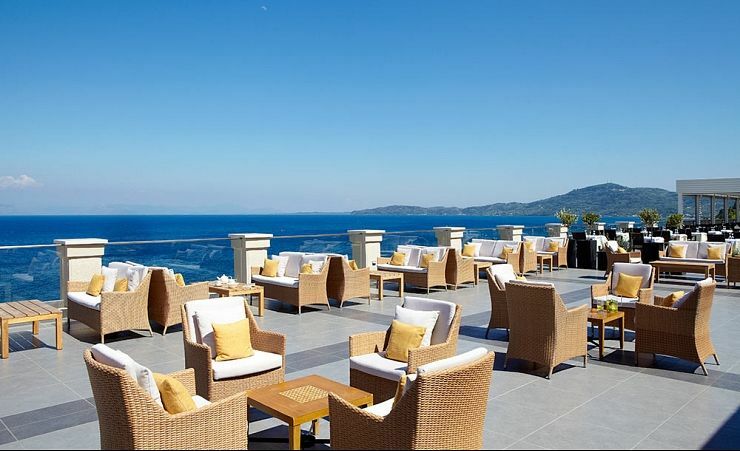 MarBella Corfu benefits from a wealth of dining options offering a wide variety of cuisines and views, whatever your mood. 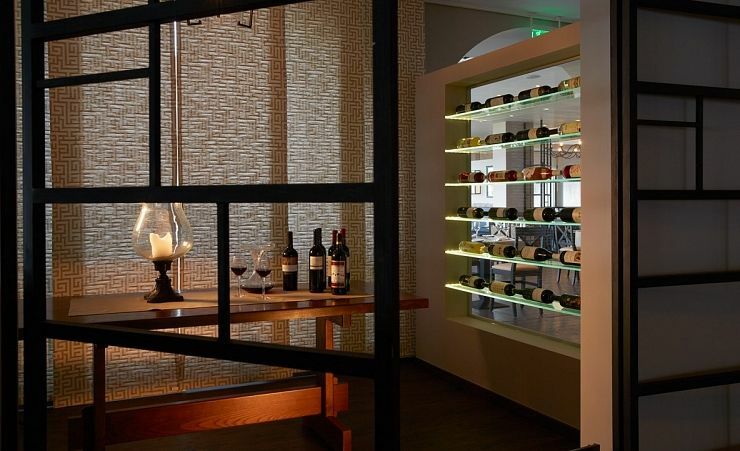 La Terrazza is the hotel's main restaurant and serves breakfast, lunch and dinner daily in a cosy setting, as well serving a number of international and Greek specialities. 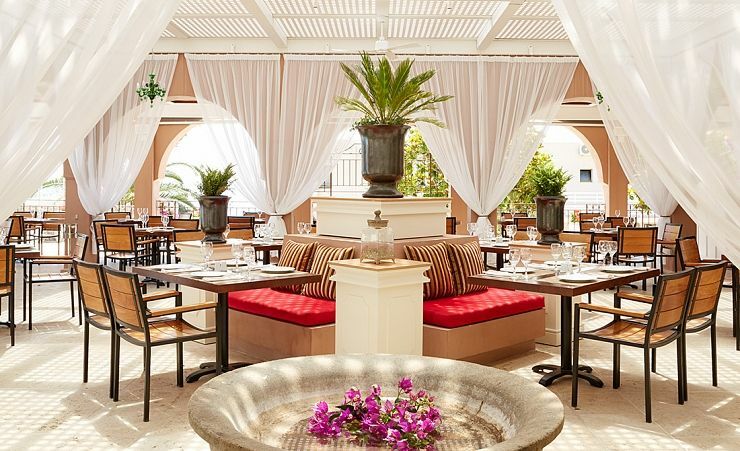 Comodo Restaurant serves a la carte Greek and international fare from its relaxing, poolside environment. 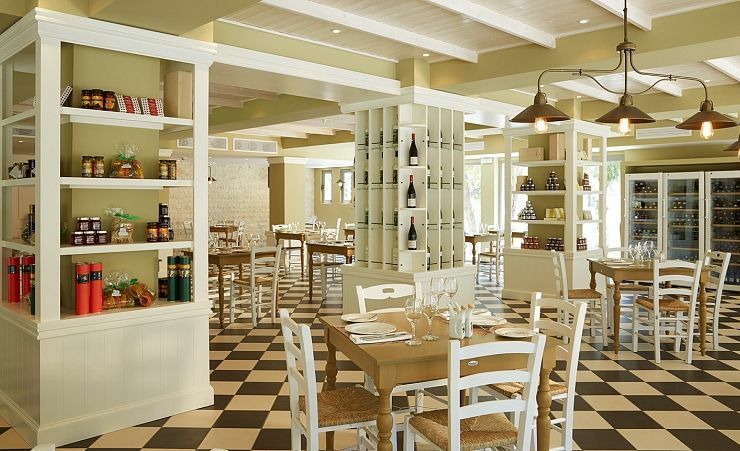 Comodo Italian captures the essence of Italian cuisine and is beautifully set amongst the hotel's lush gardens. Dolphin Restaurant & Bar is set on the beachfront and offers snacks, salads and pizza as well as cold beers and cocktails. Platea Greek Restaurant is the hotel's traditional Greek restaurant serving local and regional specialities from the a la carte menu. La Bussola serves gourmet seafood from its beautiful beachfront setting. 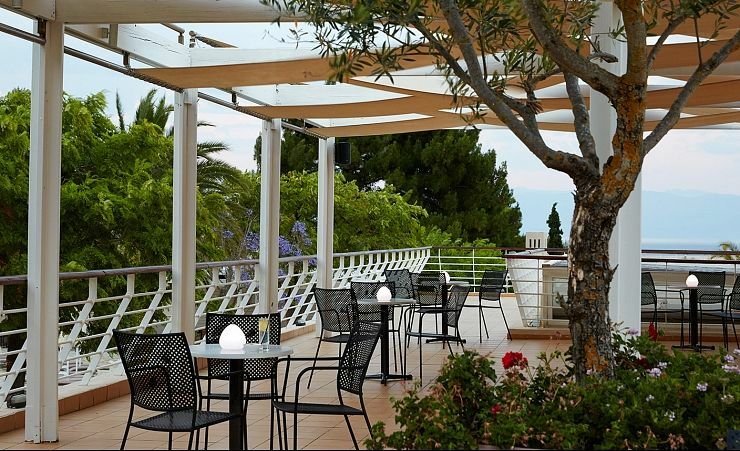 Belvedere Bar offers breathtaking panoramic views of the sea from the comfortable seats of its large terrace. 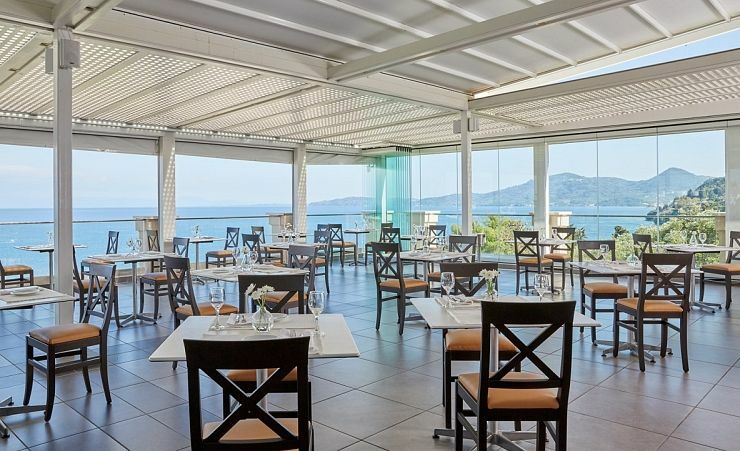 Eleonas Bar offers soothing drinks and live music overlooking the sea and the verdant olive groves. Cascade pool bar offers poolside cocktails and delicious ice creams. 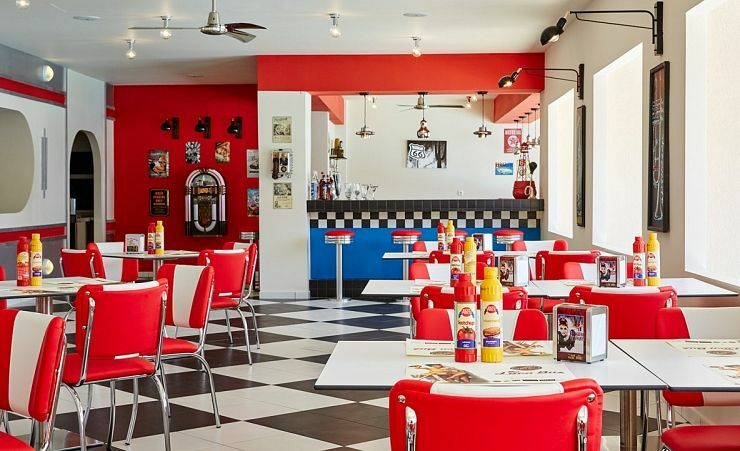 Splash Diner is a traditional Mex-Tex eatery offering fast food, ice creams and ice-cold drinks as well as cocktails. While Achilleas Entertainment Venue located in the cosy entrance of the hotel invites guest to attend an amusing series of shows, live events and performances. 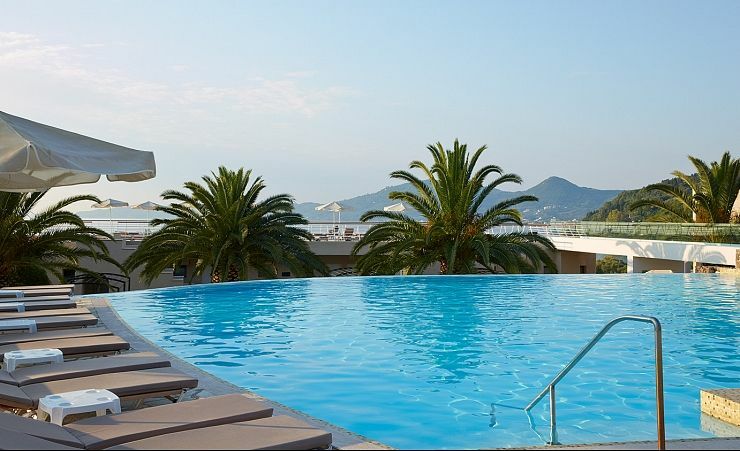 A fantastic selection of high-end facilities awaits at the MarBella Corfu. For those looking to relax there's a spa with a delightful menu of therapies and treatments to help you rejuvenate, there's also two outdoor pools, a saltwater infinity pool complete with outdoor Jacuzzi and a large freshwater pool, as well as a separate children's pool and a baby pool. 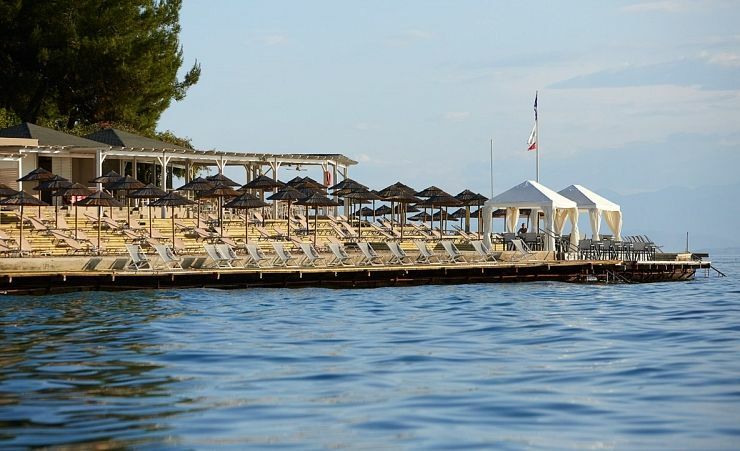 You can also take advantage of the hotel's private beach, complete with all the sunbeds and deckchairs you need to relax and enjoy the gentle lapping of the sea. If you're looking for something a little more energetic, there's an assortment of activities for you to try ranging from watersports, sea kayaking and scuba diving to mountain biking and hill trekking. With the addition of a number of shops and FREE Wi-Fi throughout, you'll soon realise that MarBella Corfu has catered for your every need. Please note: Due to the surrounding area and the number of steps around the hotel it may not be suitable for those with mobility difficulties. 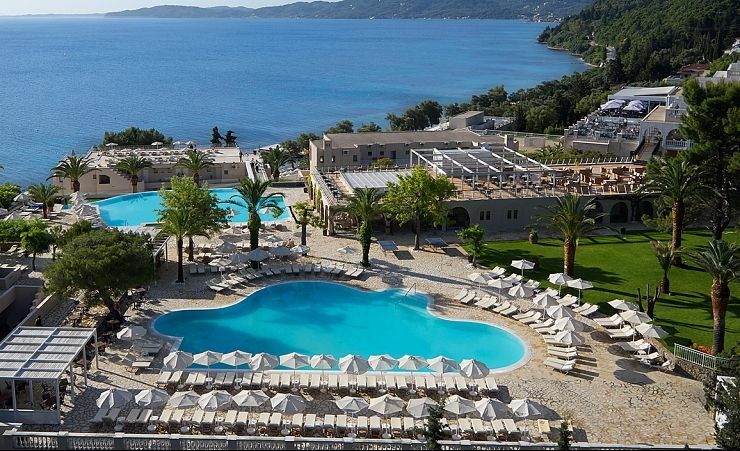 Covered in cypress trees, olive groves and wildflowers, the green, mountainous island of Corfu offers visitors an irresistible combination of stunning natural landscapes, sandy beaches and crystal clear seas. You can still see the influence of Venetian rule today in the palaces, fortresses and historic monuments of UNESCO listed Corfu Old Town. Corfu Town Explore the cobbled streets and palaces of Corfu?s UNESCO listed Old Town. Home to thousands of years of history and the birthplace of the Duke of Edinburgh. No supplement for single travellers in Twin Rooms. Transfer Time: approximately 30 minutes. We had a really lovely luxurious stay and hotel I can definitely recommend!